I was joking when I said this looked like a washing machine being installed on the International Space Station. Now NASA is serious about it. You know, because astronauts stink. 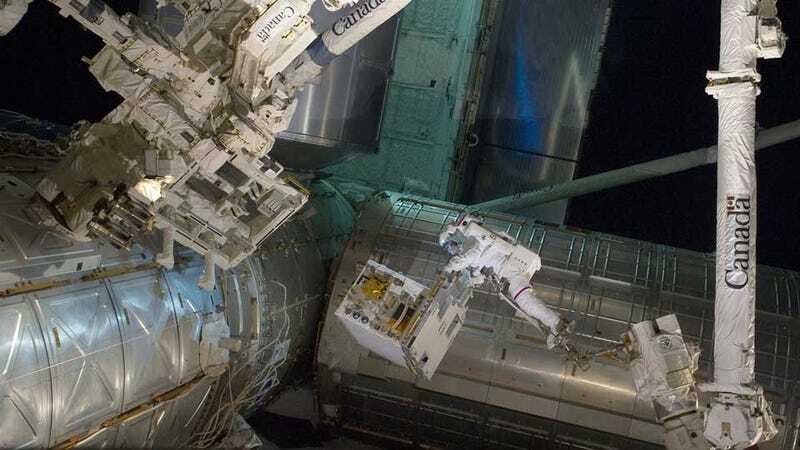 What Is This Astronaut Installing In the ISS? That's what everyone who goes to the ISS notices first: it smells really bad. Astronauts have to use the same clothes for days and, while they don't sweat as much as they do on Earth, bacteria still accumulates on the fabric. If we want to go to the Moon and Mars for long periods of time, we will need clean underpants.